I’m getting really bored with my currently daily. It’s a 2012 Ford Fusion SEL (2.5L auto). It’s paid off, but not worth much ($4k-$6k). And as we’re trying to save up for a house, I can’t afford a car payment at the moment. So I’ve been looking at different cars that I could either do an even trade for or I could buy outright if I were to sell the Fusion. I have to have a backseat for the kiddos, but other than that I’m pretty open (I would prefer manual though). 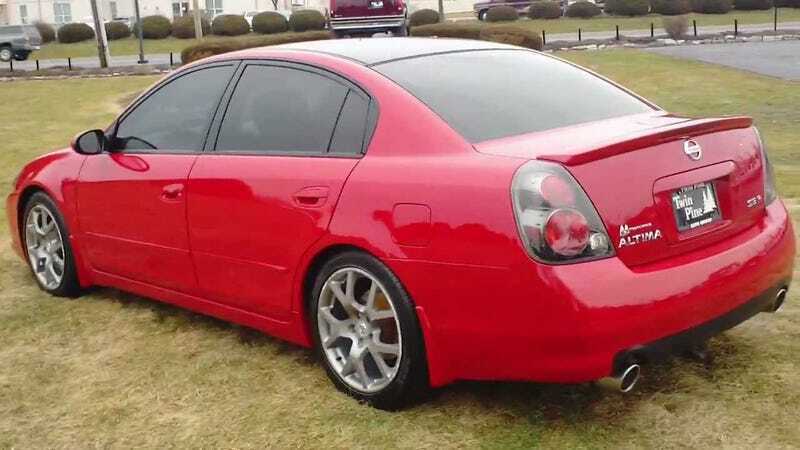 In my search, I’ve found that Altima SE-Rs have become pretty damn cheap. Yeah, they’re 6-7 years older than my current car. But most of the one’s I’ve found are still under 100k miles. They’ve got the VQ35, look decent on the outside (interior is standard early ‘00s Nissan meh), and come in manual. Am I being dumb considering getting rid of my newer car for one of these? Are there any better options out there that I’m overlooking?